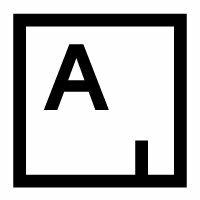 Art Angels Los Angeles Inc/ Art Angels Miami Inc and its affiliated entities located inside and outside the EEA (“Art Angels", “the Gallery,” "we", "us" or "our") respects your privacy and seeks to protect your personal data. We also use your data to communicate with you where you have signed up and opted in to receive information from us (the lawful basis for this is "consent"). What information does Art Angels collect about me? We may collect some (or all) of the following: your name, phone number, email address, IP address, information about you (for example, age, gender, socio-economic status), data provided by cookies and other similar technologies, functional data such as registration and system data, as well as additional usage data – for instance, your purchasing history, communication permissions, artist preferences and creative interests or information about your attendance at one of our events. Why does Art Angels need my information? We use your data to help us provide the best experience of our Gallery, which includes using data to improve (and, where possible, personalise) your experiences. We use your data to communicate with you, for example, informing you about new shows, events and gallery updates. We also use data to fulfil contracts, to send you the goods you have bought, invoices and to collect payments. Can I opt-out of sharing my information with Art Angels? Yes, you do not have to share your information with us that you do not want us to process and you may opt-out to receive communications from us at any time by contacting us at info@artangels.net. We will respect your rights under the GDPR in this regard. How do I delete my personal data from Art Angels and what are the consequences? You can email info@artangels.net to request that your data be deleted. However, please note, by deleting your personal data, you may impact your experience of the Gallery. We will not delete data which is needed to fulfil a contract until that contract is completed or unless we agree to terminate the contract. We will inform you if deleting your data will impact our ability to perform a contract in case this affects your decision. How long does Art Angels keep my information? We retain personal data for as long as necessary, to fulfil the transactions you have requested, or for other essential purposes (for example, complying with our legal obligations, resolving disputes and fulfilling our agreements). We are committed to protecting the security of your personal data. We store data in a number of places depending on our requirements to access and use it. We use a variety of security technologies and procedures to help protect your personal data from unauthorised access, use or disclosure. For example, we store the personal data you provide on cloud-based or computer systems that have limited access and are in controlled facilities. Where possible, we avoid storing paper records. Is Art Angels using cookies to gather information? When you contact us to make an enquiry, we will use your name and contact information to respond. We will then use this information to communicate with you in the future. We may obtain, collect and update information about you via direct contact with you, from third parties who refer you to us or automatically via your engagement with Art Angels, including your use of our social media channels. On request, we can provide you with access to all information, including proprietary information, that we maintain about you (but not other users unless required to do so by law) including unique identifier information (for example, your customer number or password) and contact information (for example, your name, address and phone number). You can request this information by emailing us at info@artangels.net. We will correct inaccuracies on provision of the correct details or, where relevant, you can do this by changing your registered details online. Art Angels collects and uses your information to administer, support, improve and obtain feedback on our Gallery and to improve your experiences. The information we collect is used for internal review and to improve the content of our website and services. It is also used to notify users about updates about the Gallery. This information is not shared with other organisations for commercial purposes. If you submit an employment application to us online through our website or otherwise, all of the information you submit may be used for any and all purposes ordinarily associated with processing an employment application. If you do not want to receive emails from us in the future, please let us know by sending an email to info@artangels.net. The third parties we work with are encouraged to meet the requirements of the GDPR. When we contract with third parties we enter into agreements that encourage GDPR compliance. For example, for marketing purposes we store your data with Mailchimp. We have entered into a contract with Mailchimp to comply with the GDPR. Your data may be stored in the cloud and we have entered into an agreement with Google in compliance with the GDPR. If we sell an artwork to you, we share the invoice with the artist for their records. We share your data internally and have a data transfer agreement in place that complies with EU law for sharing data from our branches in the EU to outside of the EU.